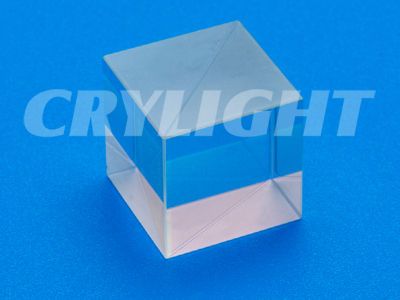 High Power PBS | CRYLIGHT / CRYLIGHT Photonics, Inc. | レーザー機器　専門商社｜株式会社アルクゥズ　ALQUZE Inc.
CRYLIGHT developed high power polarization beamsplitter cubes which are specially designed for application in high power lasers. The polarizing beamsplitter cubes split polarized beams into two polarized beams, S-polarized light is reflected at a 90deg. P-polarized light is transmitted. A dielectric coating is always on the hypotenuse. These cubes are deep-optically contacted and have higher damage threshold than that of cemented cubes.